Cat puts on rabbit mask by himself. Because he wants to. And he can. I’ll have to try this and let you know what I think. Taking zinc supplements might ease the ­discomfort of tinnitus — the debilitating ­condition which causes ringing and buzzing noises in the ear and for which there is ­currently no effective cure. Around 200 sufferers are currently taking part in a clinical trial at the University of Iowa, in the U.S., to discover whether a daily zinc ­sulphate pill can alleviate the symptoms. The trial follows smaller studies which have suggested zinc deficiency could play a part in the development of tinnitus — both are more common in the elderly. One study involving patients aged 20 to 59 at Toyoko Hospital, in Japan, found patients with tinnitus who had otherwise normal hearing had significantly lower blood zinc levels ­compared to a control group. ‘These findings suggest that zinc is involved in the generation of tinnitus, especially in patients whose hearing is relatively normal,’ say the researchers. 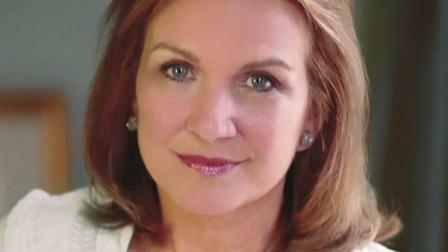 Elizabeth Edwards has passed away at the age of 61. The 61-year-old wife of former presidential candidate John Edwards died at home Tuesday afternoon with her family around her. You all know that I have been sustained throughout my life by three saving graces – my family, my friends, and a faith in the power of resilience and hope. These graces have carried me through difficult times and they have brought more joy to the good times than I ever could have imagined. The days of our lives, for all of us, are numbered. We know that. And, yes, there are certainly times when we aren’t able to muster as much strength and patience as we would like. It’s called being human. But I have found that in the simple act of living with hope, and in the daily effort to have a positive impact in the world, the days I do have are made all the more meaningful and precious. And for that I am grateful. It isn’t possible to put into words the love and gratitude I feel to everyone who has and continues to support and inspire me every day. To you I simply say: you know.